This adorable little mouse is delighted to celebrate the holidays all snuggled up in its very own mitten! Cascade Heritage 150 ivory, light grey, pink, black. 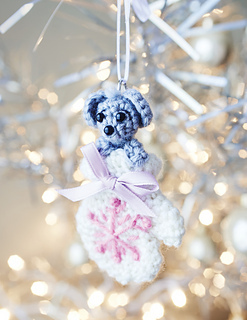 Tip #1: This little baby mouse will also fit in the stocking pattern included in the book! 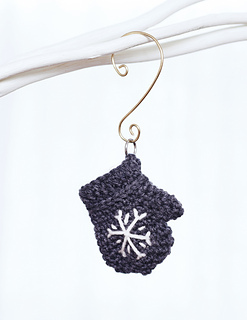 Tip #2: A pair of mittens with initials embroidered on them can make a cute 1st Christmas together ornament.